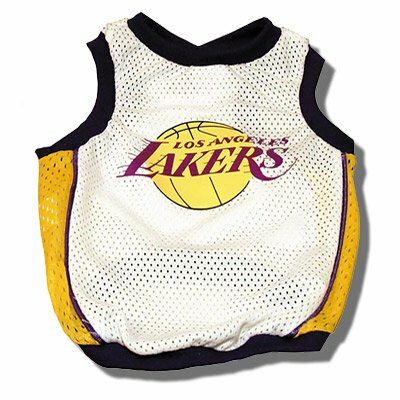 Size: Large Style: Los Angeles Lakers Dress your All-Star dog just like the pros with a home team jersey and support your team at the same time. Made with mesh fabric. Ribbed trim. Side Panels.